call us right away (Our agents are on standby 24 hours a day) at our dedicated Cherokee County phone number at 770-557-5998. 24/7 Fly Free Bail Bonds has a team of dedicated bondsmen who can get you bailed out of a number of criminal situations. Our Cherokee County bail bonds office can aid you in getting back to your life with as little stress as possible by handling your bail bond. Our knowledge and skills are at your service so that you suffer little inconvenience. As a licensed bail agent we treat everyone fairly while working to secure your release. Providing fast, reliable service to Cherokee County residents and other individuals living in the state of Georgia, the 24/7 Fly Free Bail Bonds Agency is always ready to satisfy your needs. Our services are available 7 days per week, 24 hours a day. If you have a legal concern or you’re faced with an emergency situation, our bail bond specialists and other representatives are here to provide assistance. 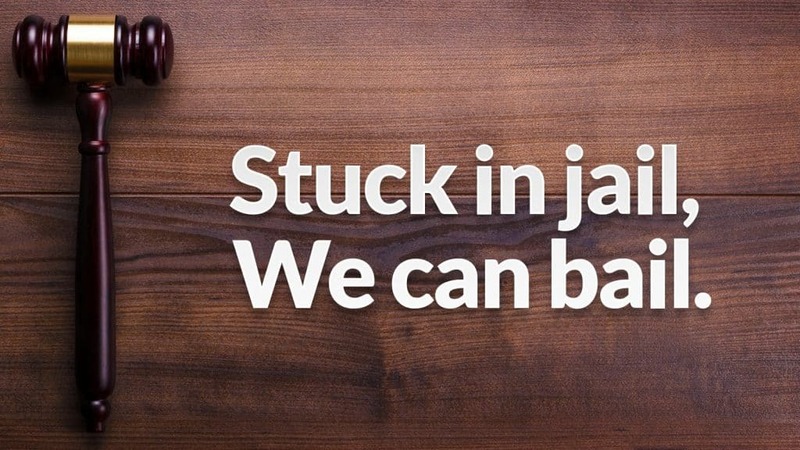 We handle everything, so you will never have to be concerned about posting bail. After being arrested, an individual who is facing charges is required to remain behind bars unless he or she is able to pay the sum the court ordered or “make bail.” Instead of staying in a cell until the trial, which could take days or weeks, a bail bond will enable the individual to be released from custody until the date of the hearing. 24/7 Fly Free Bail Bond Agency can be a great source of assistance when you or a loved one needs help. As a licensed, established agency, we promptly provide expert service in Cherokee County and all over Georgia. We are aware of the importance of getting back to family and work; therefore, we will work hard to restore your freedom. For a free consultation, call us today. At 24/7 Fly Free Bail Bonds our bonds people are ready to help you regardless of the time of day or night. They are prepared to come to the jail to bail you out so you can go home right away. The thing is we won’t even know you need us unless you give us a call. When you do, you can speak with a certified bail bonds agent to find out about what we can do to help you make your bail. We will answer all your questions regarding the process. If you need a bondsman in Cherokee County, GA, 24/7 Fly Free Bail Bonds is the place to start. Due to the Cherokee Land Lottery of 1832, Cherokee County was formed from what was then a territory and covered lands northwest of the Chestatee River and Chattahoochee River with the exception of Carroll County. A number of other counties were also carved from the lands that were once inhabited by Cherokee Indians. On December 3, 1834, the Georgia General Assembly passed an act that established Forsyth, Lumpkin, Union, Cobb, Gilmer, Murray, Cass (Bartow), Floyd, and Paulding counties. The Cherokee people were removed from their land, often by force, and the Trail of Tears followed which led these people west of the Mississippi River to Indian Territory. The home of Ambrose Harnage was the authorized meeting place of county courts at the time and it was not long till this settlement was known as Harnageville. This changed to Marble Workd, then Tate with the establishment of Cherokee County. In 1853 this town became part of Pickens County which took land from both Cherokee and Gilmer county. In 1833 the first county seat was Etowah, but later that name was changed to Canton. Cherokee County became part of the metro area of Atlanta during the latter part of the 20th century and Interstate 575 cuts through its heart. Because Cherokee County is growing, this interstate is undergoing constructions to widen it significantly. Parallel to Interstate 575 is the L&L railroad tracks which in now used by the Georgia Northeastern Railroad to haul freight. New suburbs have sprung up along the highway route to the south and this is an indication of population growth. For more about Cherokee County statistics, click here.